I know that after writing good content if the post does not get many views then the head is blowing. Many people are usually angry. Leave the blog up until the writing. I told them to be poor. If they are told you to forget your lover then obviously you get angry on me., but they leave their blogging sector and waste the passions in this way. If you want to show anything then definitely follow your passions. For blogging, smart work is more than hard work. Since the Jio launch in India, so much of the competition in the blogging sector has increased that both the rank of a blog and the five feet of a snake are equal. But for those who are interested in blogging, this blog is specially written today for those persons. Contents Are King. If you want to make the blogging sector your career, you will love to write. Copy paste from any other website cannot be popular your post. Now-a-day there is a lot of need to be careful with SEO as well as writing good content. If you want to make your website rank Google's first page and if it is a hosted on blogger.com, then these processes will help you rank the blog like Sky Rocket. SEO means if your website is about football and your website is Google's rank in cricket any way the website will not rank in Google or other search engines. Suppose you have created a website that requires SEO and tells Google about football. Think about how Google will know about your website. To understand Google, you have to submit your website’s sitemap to Google Search Console. There are two types of SEO - On-Page SEO and Off-Page SEO. On today's episode, we will learn about On Page SEO. 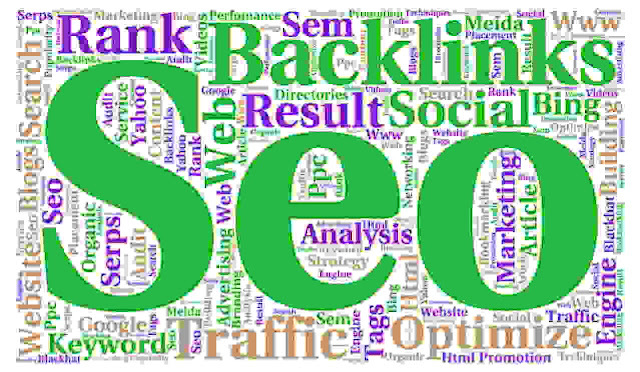 Understand What is "On Page SEO"? In simple word, On-Page SEO is like that - When you search anything on Google. Then the result is like that on the image below. Now the question is how to google understand? When you write a blog post, you will have to use your targeted keyword again and again in your blog post. Writing a blog post means that the minimum to minimum has to be written between 600 and 700 wads. Google wants to know about your blog post related to this keyword and related keywords of this keyword. Remember that Google's Office staff does not crawl your website. Google's robot will crawl your website. Again, if you use the same keyword too many time then it called ward staffing. So if you write a blog post 600 to 700 word, you can use up to 5 to 10 times the same keyword. This way you can understand Google's bots about your website. You have to fix your own routine. You have to use permalinks. You can use your specific keywords as a permalink. You will play with that keyword in Google. Use the keyword related label and a better description you have to write for the post that will show in Google's search results. Many people confuse label and Meta Tags. Label in blogger blog means Catagory. You can put your post in a category. There are no options for MetaTag while writing a post. The only option is to check the description one. To write a good description, you need to use a minimum of one hundred fifty wards. Read: Top 5 Free SEO Tools Like Paid tools. If you do not find the option of a description during posting, then click this link and see how the Encode option is enabled. No matter how much you do SEO, your blog will not rank for as long as your content is not good. You must be able to eye-catchy the title. You have to write a title that people should read the title and click on your blog. Many people make mistakes in front of the title. They made the title of her blog post by copying the title of big bloggers. It's a completely wrong method. You need to create a different title than you should be shown better than them. It takes longer to write a blog post in my case than it takes longer to write a title because I know how important a title is. 90% of a blog are a significant part of the title. Also, Use this tool for keyword research. If you want to put the meta description and meta tag on your website, you have to do it separately for blogging or for the blogger.com website. You will get these settings when you go Blogger's setting options. And it works on the second step of the blogging ranking sector. Note: If you read this blog post, which part of it is, of course, you must share it with your friend. If you have any questions or you have any opinion on the SEO, then please comment in the comment box below.